It's so strange for me to have all my boys in some form of school away from home this year. Well, at least for about 6 more weeks. Then I'll have a tiny one at home with me, but he won't be in need of any alphabet practice just yet. I thought before I put some of our favorite ABC learning activities away for awhile, it would be fun to share them with you. I know kids as young as 2 can start preschool these days, but we've only ever done one year with our boys. The former teacher in me loves doing simple activities as home to prepare them for the schooling they'll receive, and I promise your kids will LOVE these! 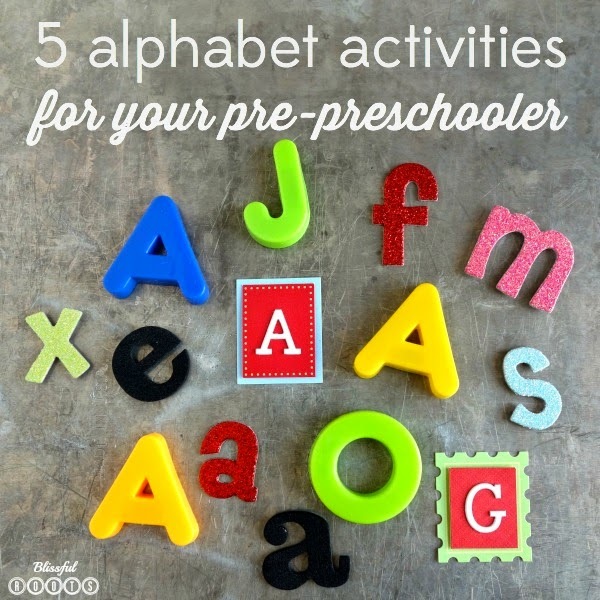 I'm over at Or So She Says today with 5 simple alphabet activities you can do with your pre-preschooler at home. I used some of these when I taught, and some are ones I've discovered as a mom. So, come and visit me for all 5 activities, supplies, and how-to (click here for my entire post). سربارز: غالبًا ما يمكن العثور على هذه النمل الأبيض الشابة والجانبية في المنازل خلال فصل الربيع وغالبًا ما يخطئن في النمل الطائر. وقال كوبر 'إذا رأيت مخلوقات شبيهة بالنمل على حد سواء مع أو بدون أجنحة ، وكذلك أجنحة مهجورة على الأرض في المنطقة التي وقعت فيها السرب ، فقد تكون النمل الأبيض'.